Paul keeps telling the congregation in Corinth that God’s grace has provided more than what they need. They have extra everything, he says, because Christ continues to provide them with extra faith, extra speech, extra knowledge, extra eagerness, and extra love. It’s all there, Paul writes. And he reminds them of this over and over. His question to them here is, Since God has given you more than enough of everything, how about doing something with it? Since you excel in everything by God’s generosity, how about showing that—how about living that? What does your discipleship look like? Because it has to look like something! If you have been given all kinds of faith and love and forgiveness and generosity to the point of overflowing in you, shouldn’t it be leaking out somewhere!? Shouldn’t it be evident? If you’ve got more soccer balls than you need, shouldn’t the girls be able to play soccer too? Then Paul advises them on one way their abundant faith can be lived. Remember that collection you were so excited to start a year ago? Remember you were doing that for the poor in Jerusalem? Then you got mad at me and got sidetracked and didn’t finish it? Why not get that collection going again and finish that up? It is a great way to put flesh on this excellent faith you have been given. It’s a way you can live out of the abundance of generosity God has given you. It’s a way to put your beliefs into practice. Generosity is a very tangible aspect of discipleship. It is a reminder that the ways of God are different than our ways and that our life is found in God’s ways. Generosity is a spiritual thing, so counter-cultural that it seems foolish to many people. It is an expression of life in Christ. So Paul makes a suggestion–“advice,” he calls it. The excitement you had for helping the poor in Jerusalem a year ago was a faithful response. So finish it up. Let the generous act of our Lord Jesus Christ not only flow into you, but flow out of you too. Christians have a tendency to emphasize what Jesus gives us, and push aside what that should look like in our lives. Many of us never get to the life-applications of our beliefs. We talk a lot about beliefs, about faith, about discipleship. We have argued and fought over doctrines. We have been very quick to judge as inferior those who believe differently. But Paul reminds us that talking about discipleship isn’t being a disciple. Debating faith isn’t living faith. Knowing our beliefs isn’t experiencing our beliefs. New life is to be lived in the world! We are called to do what we say we believe! And one of the most straight-forward, foundational, attention-getting, counter-cultural life practices of Christian discipleship is generosity. Specifically, financial generosity. Where do you believe God is most active? Where do you believe God’s mercy, compassion, forgiveness, unconditional love are being revealed? If we believe God is doing something in the world, doesn’t it make sense that that belief would be reflected in our lives somehow? How we use money is one of the loudest statements we can make as to what we really believe. God’s generosity will always provide more grace, forgiveness, and love than we need. Editing a saying attributed to St. Francis of Assisi, “Preach the Gospel with your generosity, and when absolutely necessary, use words.” May we always grow in faith; and may we always live what we believe. There are plenty of soccer balls for everyone. There is some resentment and pain in the Corinthian congregation. Someone, apparently, has acted in ways that have been harmful to the church, and Paul had called that person out on it. So Paul expresses his open love to them, no matter how they feel about him personally. His heart is open to them, because he is first a recipient of God’s grace. It is this that opens his heart so that love flows forth from him even toward people who resent him. So he encourages them. Do not accept God’s grace in vain: open wide your hearts. Easier said than done, Paul. Opening our hearts makes us vulnerable to being hurt. We all are pretty selective around who we open our hearts to. If we’re open and vulnerable to the wrong person, we are giving them power over us, potentially even to hurt us. Emanuel African Methodist Episcopal Church in Charleston, SC opened their hearts and their doors on Wednesday to a young man who they believed needed help and prayer. As a result of opening their hearts to him, he brutally killed nine people inside the church. Opening our hearts certainly risky. Which is why we often set up barriers to protect our hearts. No one wants to put themselves into a situation where they could be wounded. We protect ourselves, restricting the openness of our hearts. Which means we restrict who can access our hearts, but it also restricts what comes forth from our hearts. This has taken me a long time to realize this truth, and probably will take a lot longer to live into it more deeply. There are all kinds of hurts we can try to protect ourselves from. Without uttering a word, he gently moved me aside, opened the door, and walked out. I felt such love and admiration for my dad that I thought the injury to my heart was irreparable. The pain of that abandonment was so deep that I decided, at eight years of age, to never let anyone get close to my heart again. I developed habits and patterns around how I dealt with people that kept my heart protected. Even now, without me being aware of it, those patterns keep emerging and I sometimes come across as uncaring. And yet, Paul says, “open wide your hearts,” even to people who might hurt you: whether with a gun, with abandonment, or gossip. I think Paul understands that. And I’m certain the people of the church in Corinth do. Without a doubt the people of Emanuel AME Church do. But God, Paul tells the church, loves you and keeps loving you no matter what. God’s grace opens your hearts so that you can show love for each other. And as you love each other, that is the love of God at work. And opening our hearts and pouring out God’s love is the only way to stop the hate, stop the violence. It is the only way to proclaim the gospel of life. Paul says, that is why I will love you, even though you are angry with me. I will love you with God’s love, without condition, without regard for whether or not I get hurt. I will endure afflictions, hardships, calamities, beatings, imprisonments, riots, labors, sleepless nights, hunger and more. If that’s what happens to me because I love you, then so be it. I will love you. Paul explains that they already have everything they need for open hearts. They have God’s grace. They have God’s love. They have God’s forgiveness. They have God’s generosity. Paul has seen it in them. Paul commends them for it over and over. God’s love is already there. As you open your hearts to recognize that love that is already there, that love can also pour out to others. 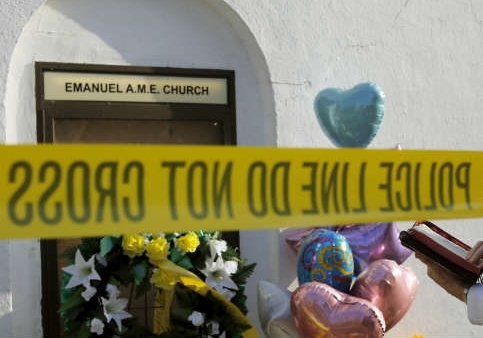 Emanuel AME Church is opening their doors this morning. They are opening their hearts and having Sunday School today. They are opening their doors for worship today. God’s love, already present in their midst, is pouring out of their hearts this morning. So why wait? He writes. You already have everything. There’s nothing left to achieve or fix or adjust. Right now, he says, right now you are loved. So right now is the time to love. Open wide your hearts, he urges. There’s nothing left to do but love. Our resentments, grudges, gossiping, divisions, prejudices, conditions gain us nothing anymore. They simply close off our hearts. The people of Charleston, SC are seeing that happen among them today as Emanuel AME opens today. Yet we do these things to try and keep our hearts safe and protected. We push people away, spread rumors about them, judge their behaviors, keep our distance, all the while believing this separation will keep us safe and less vulnerable and thereby protect our hearts from being hurt. I’m here to tell you it doesn’t work. I’ve tried for decades to protect my heart. All that’s happened is that I’ve had to work through a heart that’s been closed to giving and receiving love. 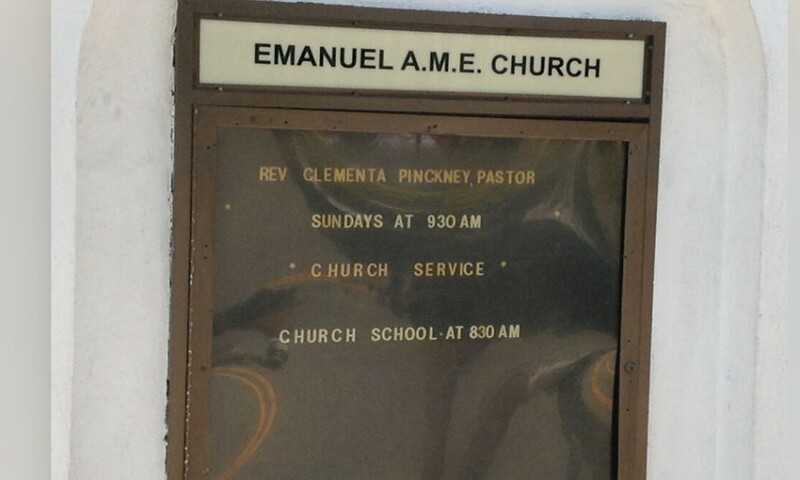 I’m inspired by Emanuel AME Church today. If anyone has reason to protect themselves, it is this church. But they are opening their hearts! God is still opening my heart. Some days are more open than others. But the single most valuable way God is opening my heart is by being loved—persistently and without condition. Especially when I know I’m not being very easy to love. I think that should be the experience of being church, but it isn’t always. Yet God opens our hearts through that kind of love and for that kind of love. We’re called to do that for each other, we’re called to do that for the world. Emanuel African Methodist Episcopal Church is showing us what that looks like this morning. We have everything we need: all the love, all the forgiveness, all the peace, all the happiness, all the generosity we will ever need. Right now. Open wide your hearts, Paul urges us. Share the life that comes with loving and being loved. You already have it all. Today is the day to open wide our hearts. Let the world know they are loved—no matter what. Amen. When I was in 2nd grade, I was chasing my sister through the house. She, of course, had done something that completely justified it. Just as I was about to catch her, she ran out the back door, which had a large pane of glass in it, and it clicked shut just as I put my hands out to push it open. My hand went through the glass and cut my hands and left wrist pretty seriously. The tendons and nerves were severed in my wrist and I underwent surgery to try ad repair as much as they could. My wrist was immobilized in a cast for 6 weeks. After that, my left hand had no feeling and no movement. None at all. Nonetheless I started physical therapy to see how much mobility I might regain. There were no promises as to whether I would regain any sensation in my hand or any movement. I remember being terrified when my little 7-year-old hand couldn’t even grasp a tennis ball. Therapy went on for three years. Slowly, through continual exercises, I began to regain some movement. After a few months, I could hold a tennis ball, then a golf ball, then I began to play with Tinker Toys–working to grasp those small sticks and maneuver them. Two years later, with continuous therapy and exercises, I began guitar lessons in order to exercise the fingers on my left hand to form chords on the frets. Ultimately I regained full mobility. The feeling will never come back completely, but I’ve regained most of it. Not a day goes by, 50 years later, that I don’t deliberately move the fingers of my left hand and marvel that it works. The repair work done in surgery was a gift to me. The neurosurgeon, Dr. Gerald Bergera, was way ahead of his time and reestablished nerve connections that few other surgeons in the country could do in that day. I am grateful for the gift he gave me that made it possible to use my left hand all these years later. I was given the gift of nerve and tendon repair through complicated surgery. But that gift wouldn’t have made any difference without the physical therapy that followed. As much as it hurt, as frustrating as it became, as slow a process as it was, those exercises allowed me to experience the gift. Paul is telling the church in Corinth that their faith is a gift. God has given it to them freely in Christ through the power of the Spirit. It is theirs, it is done. They are forgiven, loved, and made new. That has happened and it is God’s gift to them. They are fully restored. Trust it, he writes. Walk by faith and not by sight, he urges them. And we experience the gift by exercising it. The exercise of the gift of faith is a life-long process. We don’t see immediate results. But that doesn’t mean the repair work hasn’t been done. It doesn’t mean the gift hasn’t been given. We are made new, and we need to move forward and live that new life. For we walk by faith, not by sight. We exercise forgiveness, no matter how difficult it is, because it is the gift given to us. Christ urges us on, Paul writes in v. 14. We keep exercising it. We exercise mercy, no matter how long it takes, because it is the gift given to us. We regard no one from merely a human point of view any more, Paul writes in v. 16. Through God’s gift, we begin to see them as Christ. We exercise love, no matter how painful, because it is the gift given to us. So if anyone is in Christ, Paul writes in v. 17, there is a new creation. We flex our love, practice our love because we are made new. We exercise our new life in Christ, because it is the gift given to us. Everything old has passed away, writes Paul in v. 17, see everything has become new. We continue to practice living as Christ, over and over, day after day, year after year, getting stronger and more flexible. The gift of faith, a spiritual life, a new way of living has already been given to us. The surgery has happened; Christ died for all. Now we continue in long-term spiritual therapy, exercising that gift of faith. Slowly, gradually, sometimes even painfully we live a new life, walking by faith, trusting a God of love and life who cannot always be seen. Exercise your faith, walk by faith and not sight. Expand and grow and strengthen your faith. My new spiritual therapy exercise is to pray every day for those on our prayer list. I will also pray for each of you, day by day, one name, one household at a time. We walk by faith, not by sight. The apostle Paul is an amazing and complex character. Even though this congregation in Corinth is often really difficult to work with sometimes, his love for them is overflowing. They have had their share of disagreements and misunderstandings, but he keeps encouraging them in their discipleship. Some members of the Corinthian congregation were hurt by a previous reprimand from Paul. One person, apparently, had caused a real division that had sidetracked them from Christ’s mission. Then Paul promised he was going to visit them and then changed his plans. Several people in the church weren’t very happy with him. There are still divisions and concerns. In short, things aren’t looking ideal for the Corinthian congregation. Which sets up this week’s portion of his letter to the church. He refers to their “inner nature” and their “outer nature.” The outer nature is physical, it’s visible, it’s what impresses other people. It can be superficial, and is definitely temporary. It includes their bodies, their finances, their jobs, their houses, their hairstyles, their health, and even the circumstances of their church. And, says Paul, “It is all wasting away.” They are upset about so many circumstances regarding this outer nature that it is distracting them. So Paul reminds them to “not lose heart” because no matter the circumstances, the inner nature is being renewed every day. The outer nature–these visible, temporary parts of our lives–don’t define us. The depth of our inner lives–our deepest identity in the image of God–is being renewed every day apart from what’s happening on the outside. Don’t lose heart, he writes. The real stuff, the eternal stuff, the parts of our selves we don’t necessarily see are what matters. And these inner aspects of ourselves carry us through, because the inner nature is in the image of God. In spite of outer circumstances, God is working and renewing and restoring at a much deeper level. Don’t lose sight of that; don’t be distracted by the outer things. Paul encourages us to keep proper perspective. Our outer circumstances are part of our lives, yes. They can be difficult and challenging, yes. But they don’t define us or our relationship with God or how God works in our lives. To get caught up in those outer circumstances at the expense of our inner image of God is problematic at best. Spending all our time and energy on the outer nature leads to misdirection and division. That’s what the church in Corinth is dealing with. Putting all their efforts into their outer nature and neglecting what’s happening every day in their inner nature. Perhaps us too. We can get so focused on fixing our lives, fixing what’s wrong, worrying about our finances, getting every piece of our outer nature into line that we can neglect to recognize the growth in our inner nature, our faith, our discipleship, our relationship with God. How often do we plan and strategize growth in our spiritual lives? Shouldn’t we pay as much attention to expanding our generosity as in expanding our 401(k)s? If I plan to devote 30 minutes a day to time on my physical health, shouldn’t I also plan to devote 30 minutes a day to time on my spiritual health? If my relationships with friends are important to me, shouldn’t forgiveness and restoring relationships be important too? What would you think about discovering ways we really reflect the image of God in which we’ve been created and deliberately expanding those aspects of our lives? God is renewing our inner nature every day. God is continuing in forgiveness and mercy and generosity and grace within us every day. Paying attention to God’s new work in us, partnering with God in our daily renewal is our most human endeavor. Circumstances, our outer nature, can be hard and painful. There is support and encouragement here in the congregation in those times. So we do not lose heart, Paul writes to us. Because we look not at what can be seen but at what cannot be seen; for what can be seen is temporary, but what cannot be seen is eternal. Consider how God is renewing you today. Today. What renewing thing is God accomplishing in your right now? It is happening. Divine love is making you new at this very moment. Discover that work. Take delight in it. Join God in it. So, regardless of anything else, we do not lose heart. There are a couple of different things going on here: some miraculous healings, and this band of disciples’ community life together. Here’s what’s remarkable about this very early community of disciples: everyone was in awe, more and more people were coming each day into this fledgling movement. But it wasn’t because of the signs and wonders. It was because of the way these disciples lived together. It was the things they did as a community together that caused the surrounding neighborhood to sit up and take notice. They shared all things in common. They sold their possessions and gave the proceeds away to anyone in need. They were continually spending time in the temple together in worship and prayer. They did all this with glad and generous hearts. They had fun together. They enjoyed being together. They celebrated time together. It was how they lived that revealed Christ to the broader community. The signs and wonders were cool. But as is still the case, the impact of signs and wonders is short-lived. I’m sure the wind and fire of Pentecost was astounding, but you can also bet the amazement faded. Have you ever experienced something you might consider the presence of God, being in the presence of the Divine, or even miraculous? A sunset, a healing, a moment of inspiration, a time of calm in stress. Those moments are inspirational! They are awesome! They carry you, sometimes for quite a while. We need to share these experiences with each other because they are so inspiring! But let’s be honest. After a while usually we end up close to where we were before the sign and wonder experience. “What have you done for me lately, God?” we ask. Few people change their view of God in any significant way after an amazing spiritual experience—signs and wonders. They are astounded, they are amazed, they are moved, they may even remember, but rarely changed in any deep way. Signs and wonders are not how disciples are made. And signs and wonders are not how a community of disciples lives. But, the way we live together, the way we celebrate together, the way we treat each other is how Jesus is most deeply revealed to our neighbors. It’s through us as a community. Does the LCM community live any differently than any other community? Are we the people that live together with generosity as normal, forgiveness as assumed, giving each other the benefit of the doubt is what’s expected? Do we rush to protect each other from rumors or ridicule? Is our knee-jerk reaction a willingness to make a personal sacrifice for the sake of the LCM community? Well, sometimes. We’re a mixed bag. We certainly don’t do so perfectly. We hurt each other and hold grudges sometimes. But today, I want to point out and emphasize that whether we feel like it or not, whether we exhibit it all the time or not, we are a community created in the image of God. We actually do reflect Christ. Not because we try so hard to do it, but just because we are bound together by Jesus. When those Christ-like things happen it is a sign of the presence of Christ binding us together. And it is our relationships to one another that get the long-term attention of our neighborhood. Because it is our relationships to one another in this place that come from and reflect our relationship with God. Look around this room. Look into the faces of all these gifts God has given us! Look at how blessed and holy we are together! Look how the Divine is real right in this room! Who here has ever experienced holy care or comfort or support through your association with LCM? Who here knows God better because of your relationships here? Who has ever been a recipient of holy generosity through LCM? Who has been forgiven by someone in LCM? Who is loved by someone at LCM? Who, then, can do anything but call this congregation holy? We’re a mixed bag, but don’t ever deny our holiness. When we lose sight of the holiness of this congregation, we risk losing sight of God. But the reality is that when we gather together, we gather in the presence of holiness. The way we live together bears that out, for the sake of the world.